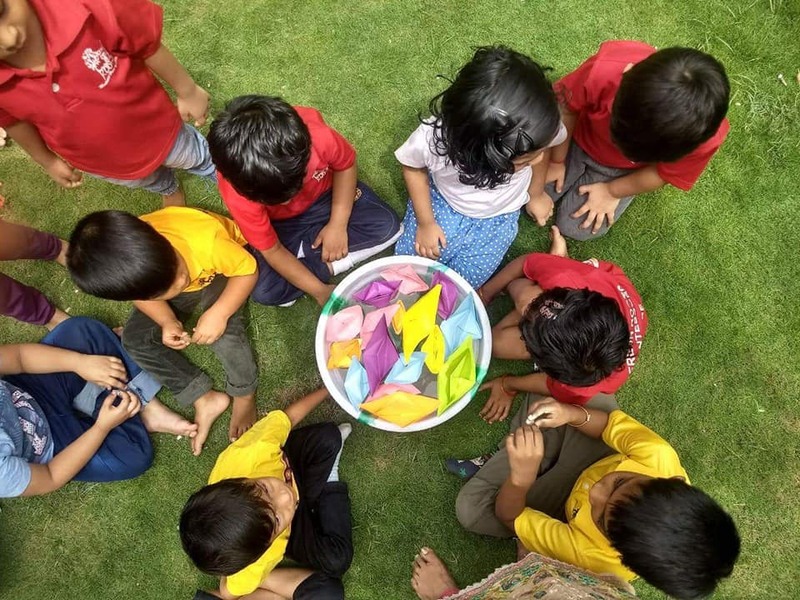 Best Playschool in Hyderabad with strong Montessori curriculum and most essential extracurricular activities announces a few open seats in LKG and UKG. Preschool syllabus with play way methods incorporated. Children with special needs and learning difficulty are also welcome for an inclusive education. Visit today for an orientation of Freshroots Montessori House. Imagine a school that breaks the boundaries of classroom to help children pursue personal interests and talents, then we have something that awaits your child. Fresh Roots- “The Montessori House of Children”. Please visit us before you take the most important decision with regard to your child’s education- choosing the right school for your child. Please find attached our address and contact number. You are invited to attend a free orientation to understand Montessori method of education. Fresh Roots Montessori House is one of the best school for early childhood education, teaching curriculum best suited according to the capacity of the child. Call and attend a free orientation program before admission of your child into preschool. Early preschool and kindergarten learning can help increase later academic achievement, build a desire to learn and aid better social and emotional development. Early childhood programmes have long been shown to create improvements that last a lifetime. Whether by instilling good habits or by encouraging a passion for learning children should attend nursery and playschool for a healthy holistic development Best playschool in masab tank and mehdipatnam with futuristic modern education based on Montessori methodology. Early Education in Fresh Roots is significant as the brain develops almost to its fullest between the ages of 0 and 6 years. Children in playschool learn gross and fine motor skills during this stage and also inculcate core values basis which the pillars of life and learning are built upon. Healthy child development in kindergarten includes not only physical development but also development of emotional, behavioural, cognitive, language, and general learning competencies. The human brain grows rapidly during this stage, as the child acquires and integrates skills across areas. Development in all areas is integrated across internal neural networks, which builds strong foundations for more complex learning in future. Visit Fresh Roots Montessori House for more information. Colour Week starts with Black n White. After learning many things children dressed in the same colours end the day with sand castle making on a fresh Monday morning. Sandplay helps development of gross motor skills while digging, eye hand coordination and also social skills. Special kids in FreshRoots indulge in sand play very often. Colour week celebration in the preschool environment results in a lot of learning of colours in nature, colours of things around us and colours that we use as paints. A whole week was spent learning course and finally ended with a search for colours in a garden. Special needs children have also participated with enthusiasm.